The Emma C. Berry was built in Noank, Connecticut in 1866. 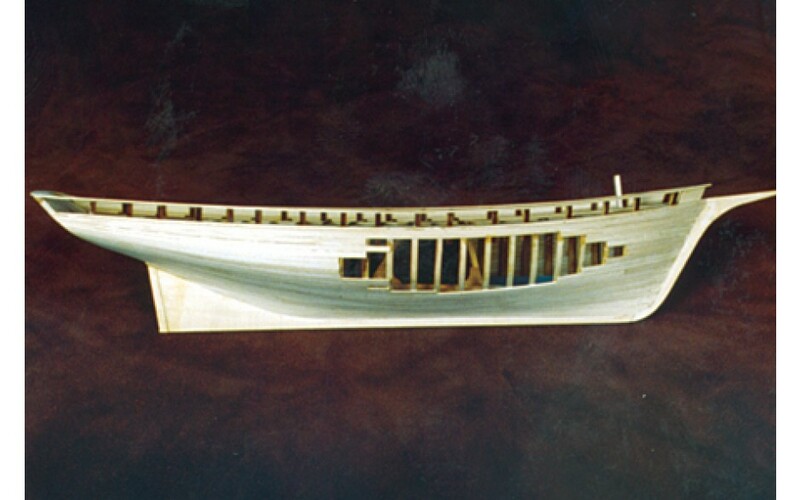 This type of vessel was known as a “Noank Smack”. Smacks like the Emma C. Berry contain a live well, which is a watertight structure built inside the vessel. Within the well, numerous holes drilled in the bottom of the boat allowed fresh (oxygenated) seawater to circulate through. This way, live fish and lobsters could be transported from the fishing grounds to market. The Emma C. Berry is the last existing representative of her type. 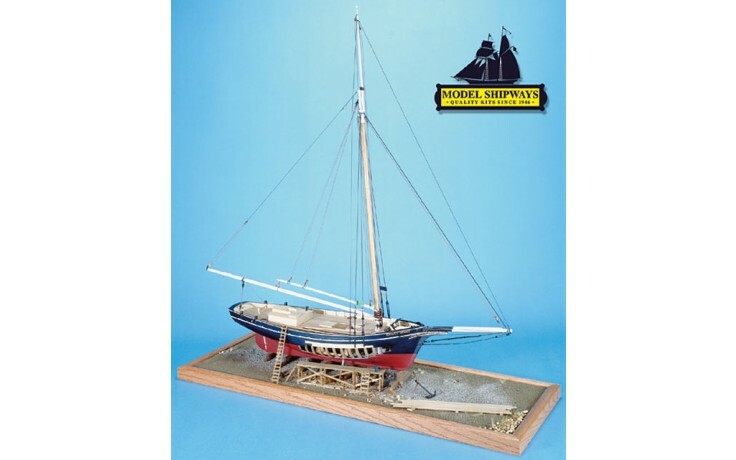 Model Shipways is proud to present the Emma C. Berry 1:32 scale ship model kit. In keeping with her original design, the Emma C. Berry kit is a true plank-on-frame model, using beech and basswood for strips and beams. 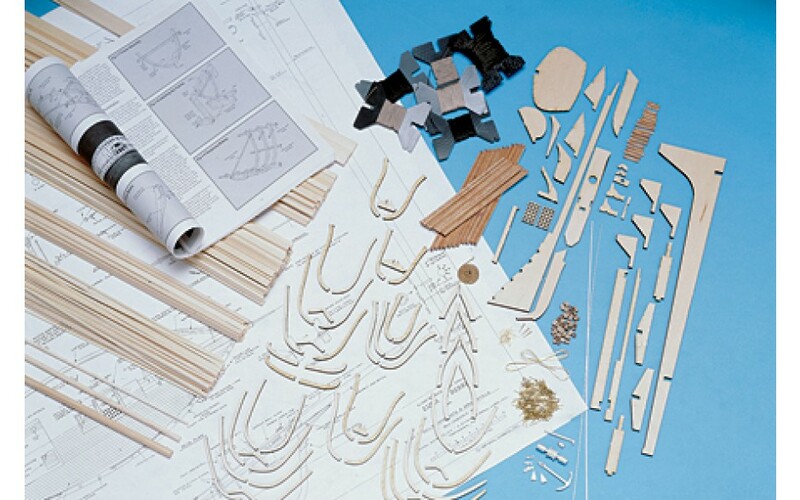 The keel and ribs are just some of the parts that have been laser-cut, making for easier construction. Deadeyes and blocks are made out of walnut. As a sloop rigged vessel with a large mainsail, two headsails and a gaff topsail, the Berry kit also contains over 50 yards of black and gray (standing & running) rigging line. 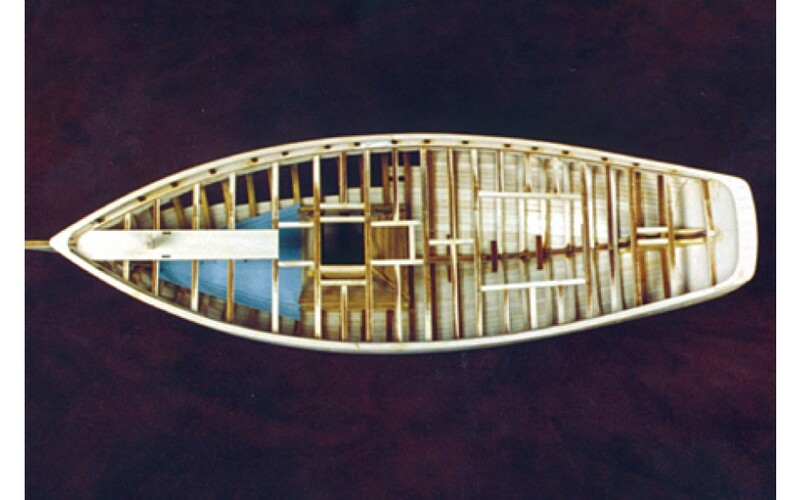 This would have been used to support and manipulate her double head sail gaff sloop rig. 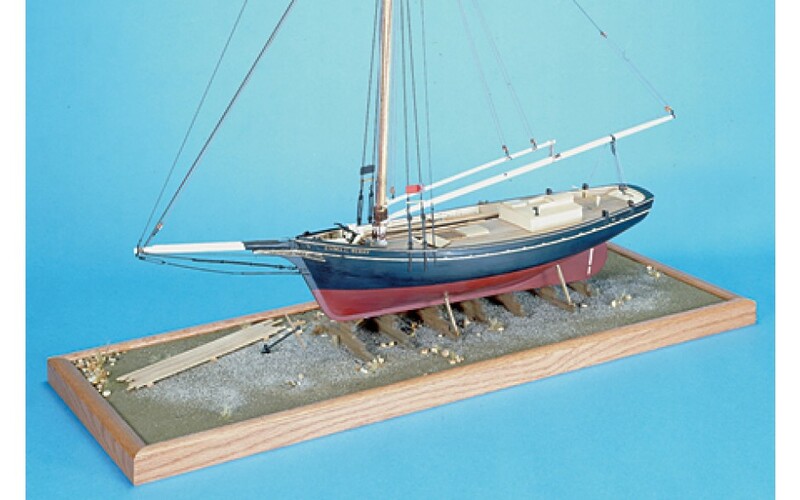 Model Shipways' kit is based on drawings and documentation provided by the Henry B. DuPont Preservation Shipyard at Mystic Seaport. The kit offers true plank-on-frame construction with the same number of true-to scale frames as the original. 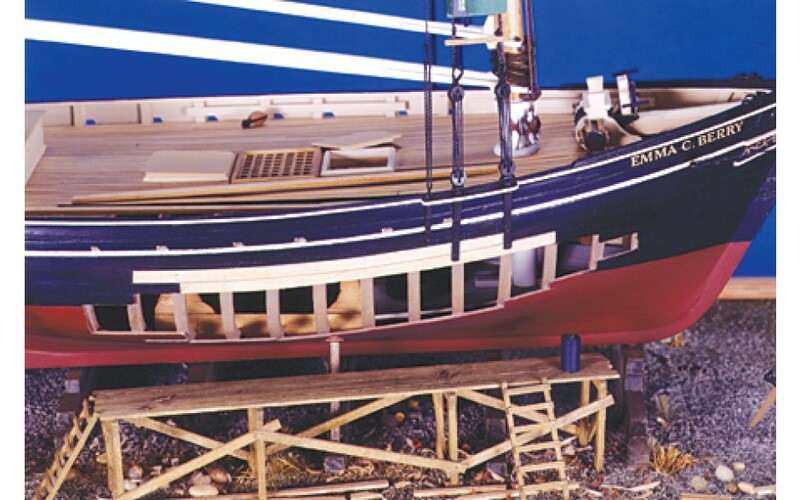 The frames are erected with the hull upright, just like a real ship. Although a bit more difficult than building a upside down, this permits the addition of many inboard details. 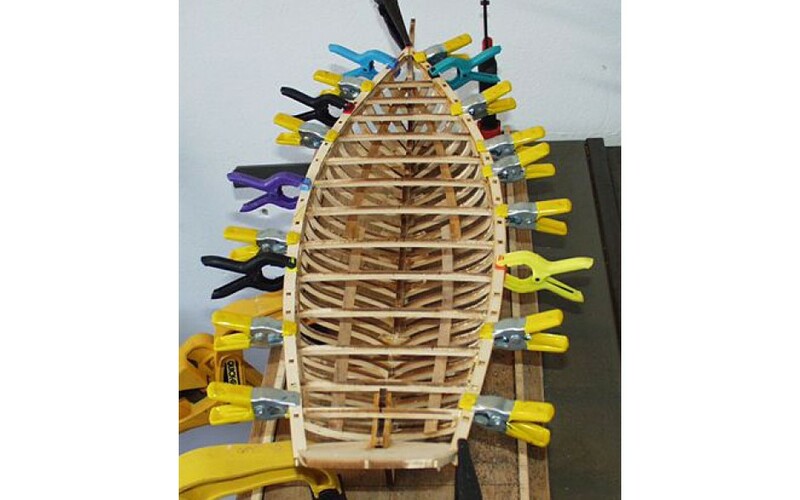 Model Shipways kit contains laser cut wooden parts, basswood hull planking strips and wood stock for launching ways. A host of finely cast Britannia metal fittings and anchor shank. Brass is used for eyebolts, rings, chain and wire. Walnut blocks and deadeyes come in five sizes, and 50 yards of black and gray line are provided for accurate rigging. Four sheets of plans and 40 page instruction manual by kit designer and naval architect Ben Lankford record every detail of construction.